“City National helps keep my financial life in tune.” So much of my life is always shifting; a different city, a different piece of music, a different ensemble. I need people who I can count on to help keep my financial life on course so I can focus on creating and sharing the “adventures” of classical music. City National shares my passion and is instrumental in helping me bring classical music to audiences all over the world. They enjoy being a part of what I do and love. That is the essence of a successful relationship. City National is The way up® for me. 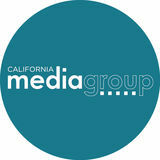 PERFORMANCES MAGAZINE is published monthly by Southern California Media Group to serve theatrical attractions throughout the west. Center Theatre Group is a nonprofit theatre company that produces and presents at the Ahmanson Theatre and the Mark Taper Forum at The Music Center of Los Angeles, and the Kirk Douglas Theatre in Culver City. For ticketing, the latest news from our theatres, and more, visit CenterTheatreGroup.org. Customer service, ticket donations, gift certificates, event information. Telephone hours: Mon 10am–5pm, Tue–Fri 10am–8pm, Sat 12pm–8pm, and Sun 11am–7pm. Except major holidays. Season ticket holders receive early access to performances in the best seats we have— at a discount—plus a host of exclusive benefits. Center Theatre Group makes its performances and facilities accessible for patrons in wheelchairs; patrons who are deaf, hard of hearing, blind, or have low vision; and patrons with other disabilities. Call or visit CenterTheatreGroup.org for more information. WALK-UP BOX OFFICE Center Theatre Group’s walk-up box office is located in front of the Ahmanson and is open Tue–Sat 12pm–8pm, Sun 11am–7pm, and closed on Monday. Remote box offices at the Taper and Douglas open two hours before performances. 213.972.7231 Discounts are available for groups of 10–15 or more and for corporate employee/client ticket programs. Enjoy VIP service and access to purchase tickets before they go on sale to the general public. Lively pre- and post-show discussions led by staff who are often joined by cast members are held on select performances. Flash photography can be dangerous to performers and is very distracting to audiences. Photography and any other type of recording device are unlawful, unless authorized by Center Theatre Group. Your use of a ticket constitutes acknowledgment of willingness to appear in authorized photographs and video in public areas of The Music Center and the Kirk Douglas Theatre and releases Center Theatre Group, The Music Center, and all others from liability resulting from the use of such photographs. 213.972.7564 Center Theatre Group is a 501(c)3 nonprofit organization that uses the art of theatre to broaden horizons and illuminate new perspectives by producing and presenting shows on three stages, by offering free education and community programs, and by cultivating artists of all generations. Our work is made possible thanks to the generous support of our donors. LATE SEATING To minimize disruption, patrons not seated when the performance begins will be asked to wait in the lobby until an appropriate break. Latecomers may also be given alternate seats until intermission. SMOKING IS PROHIBITED Smoking of any kind, including electronic devices, is prohibited. FRAGRANCES Please refrain from wearing strong perfumes and cologne. Many people are allergic to heavy scents. YOUNG CHILDREN AND BABIES Children under age six are not admitted, unless the production is advertised for younger audiences. Regardless of age, everyone must have a ticket and be able to sit quietly through the performance. Babes in arms are not admitted. LOST & FOUND Contact a head usher or call the lost and found clerk at 213.972.2600 for the Ahmanson and the Taper. Contact the performance manager at 213.972.4435 for the Douglas. FIRST AID In case of injury or illness, please see an usher. The Pride is a gorgeously-drawn drama alternating between two very distinct time periods and sets of characters whose fate is written by their eras. As the past and present worlds collide, The Pride’s complex love triangle provides a provocative, humorous and insightful look at fidelity and forgiveness. AROUND CENTER THEATRE GROUP August Wilson Monologue Competition National Finalists Take Broadway Congratulations to Aryana Williams and Alexander Villaseñor on terrific performances at Broadway’s August Wilson Theatre in the August Wilson Monologue Competition National Finals on May 1, 2017. Their performances marked the end of a long and fulfilling journey into Wilson’s work; both Williams and Villaseñor had participated in the Competition as underclassmen and advanced to both the Regional and National Finals for the first time as high school seniors. They spent a weekend in New York City seeing Groundhog Day and Sweat, touring Jazz at Lincoln Center, meeting some of August Wilson’s collaborators, and taking in the sights before making their Broadway debuts. THEATRE FORWARD HONORS CENTER THEATRE GROUP Artistic Director Michael Ritchie accepted the Achievement in Theatre Award at the Theatre Forward 2017 Annual Chairman’s Awards Gala on behalf of Center Theatre Group on April 3, 2017 in New York City. A longtime Center Theatre Group supporter, Theatre Forward is a national nonprofit that advances American theatre and its communities by providing funding and other resources to the country’s leading nonprofit theatres. (l–r) Michael Ritchie and composer Jason Robert Brown. Photo by Marc J. Franklin. (l–r) Mark Ballas, Cory Jeacoma, Matthew Dailey, and Keith Hines perform at Broadway at Grand Park. photo by ryan miller /capture imaging. 1920s Time Travel in the Douglas Lobby Pre-show engagement around the Coeurage Theatre Company production of Failure: A Love Story at Block Party at the Kirk Douglas Theatre featured a photo booth for patrons to don 1920s Chicago hats and props. See more photos @ CTGLA on Twitter, Facebook, and Instagram. (l–r) Keith Hines, Cory Jeacoma, Mark Ballas, and Matthew Dailey. photo by luke fontana. Jersey Boys cast members Mark Ballas, Cory Jeacoma, Matthew Dailey, and Keith Hines—who play Frankie Valli and The Four Seasons in the production currently onstage at the Ahmanson through June 24, 2017—gave Downtown Los Angeles a sneak peek of what was in store in late April. They got into character for a photo shoot around The Music Center and Walt Disney Concert Hall. They treated a lunchtime crowd at Grand Park to some of the group’s biggest hits at a special free concert, Broadway at Grand Park (which also featured performances by the Into The Woods cast). And they performed for iHeartRadio and at The BoardRoom, the new speakeasy at Kendall’s Brasserie. (l–r) Jon Robin Baitz, Lynn Nottage, Young Jean Lee, Paula Vogel, and Will Eno. photo by jeremy david. (l–r) Gary Wilmes, Frank Boyd, and Brian Slaten in Lee's Straight White Men at the Douglas. photo by craig schwartz. to many regional theatres, Broadway, and the West End.” In addition to Nottage and Vogel—both of whom recently made their Broadway debuts with Sweat and Indecent, respectively—co-commissioned playwrights include Jon Robin Baitz (Vicuña, Other Desert Cities), Lisa Kron (Fun Home), and Young Jean Lee, whose Straight White Men will bow on Broadway next year. My wealth. My priorities. My partner. You’ve spent your life accumulating wealth. And, no doubt, that wealth now takes many forms, sits in many places, and is managed by many advisors. Unfortunately, that kind of fragmentation creates gaps that can hold your wealth back from its full potential. The Private Bank can help. The Private Bank uses a proprietary approach called the LIFE Wealth Cycle to find those gaps—and help you achieve what is important to you. Wills, trusts, foundations, and wealth planning strategies have legal, tax, accounting, and other implications. Clients should consult a legal or tax advisor. ©2017 MUFG Union Bank, N.A. All rights reserved. Member FDIC. Union Bank is a registered trademark and brand name of MUFG Union Bank, N.A. (l–r) The crowd enjoying some good chisme at Eastside Luv. Actors Eddie Vona and Olivia Delgado. photos by cristi burgos/cbgraphy. Center Theatre Group Community Partnerships Associate Alejandra Cisneros, who is directing all of the Chisme y Queso pieces, is one of those artists. “I think a lot of young directors, because there’s a lack of space within L.A., need to bring life and work to other spaces,” she said. “Doing more site-specific work, marrying the arts with community engagement, and finding your tribe is one of the only ways that as a young artist you can move forward in your career.” The participating writers, who are being mentored by Center Theatre Group Resident Artist Naomi Iizuka, agreed that Chisme y Queso is moving both their careers and craft forward. “It forces me to think on my feet and write as truthfully as possible, because the audience really responds when they see a piece onstage that could come out of their own experiences,” said writer Diana Burbano. (l–r) Marta Portillo, Olivia Delgado, Eddie Vona, Alejandra Cisneros, and Alexis de la Rocha. photo by cristi burgos /cbgraphy. Southern California’s high schools, colleges, and universities abound with aspiring artists, artisans, and arts administrators. And Southern California is full of people who have forged successful arts careers. But connecting them to one another, and creating paths for young people in the field, is a challenge not just for students but also for the organizations and schools that serve them, as well as the employers who want to hire them. Students at the College & Career Fair for the Arts. The Going Pro Career Fair. David Bridel, who holds the Braverman Family Dean’s Chair at the USC School of Dramatic Arts. “This event offers our students invaluable access to theatre professionals from all around Los Angeles and helps to pave the way for their early career steps. It’s a terrific way to build community around young people with a passion for the performing arts.” Added UCLA TFT Department of Theater Chair Brian Kite, “UCLA was proud to be part of the first two years of the Going Pro Career Fair, and to be working with Center Theatre Group, USC, and LA STAGE Alliance to create a not-to-be-missed event filled with great information and artistic community.” The organizations participating in the College & Career Fair for the Arts offered nearly every conceivable option for students trying decide where to go and what to pursue after high school, representing general education, technical training, and community colleges, as well as private and public colleges and universities. Introducing our new Associate Artists: Matthew Bourne, Danai Gurira, and Anna D. Shapiro Three artists working at the top of their game—choreographer/director Sir Matthew Bourne, playwright Danai Gurira, and director Anna D. Shapiro—are becoming an integral part of the Center Theatre Group artistic family for the next five years. We have supported and produced their work on all three of our stages in the past; now, we are formalizing and expanding our relationships by bringing them on as Associate Artists. In this new capacity, they’ll be sharing their talents with our theatres and helping us identify and collaborate with other artists of promise from around the globe. Theatre in September, and whose work has appeared regularly at the Ahmanson since 1997. “I look forward to building on our special relationship, developing ideas, and further contributing to the extraordinary work Center Theatre Group delivers for artists, audiences, and communities.” Danai Gurira, whose plays Eclipsed, In the Continuum, and The Convert all played the Kirk Douglas Theatre, also pointed to a feeling of being at home here. (top – bottom): Sir Matthew Bourne, Danai Gurira, and Anna D. Shapiro. relationship creates a great opportunity to build a bridge between Chicago and Los Angeles, where many of our ensemble members live and work, allowing for more cross-collaboration between two like-minded theatres and exciting opportunities for Steppenwolf to make connections with new artists, which can only enhance the important work we’re doing at home,” she said. Production photos (above) by Craig Schwartz. May 16 – June 24, 2017 AHMANSON THEATRE The Los Angeles engagement of Jersey Boys is generously supported in part by Artistic Director’s Circle members Maggy & Jack Simon. Bob Crewe........................................................................................... BARRY ANDERSON Frankie Valli..................................................................................................MARK BALLAS Frankie Valli (at certain performances).....................................................AARON DE JESUS Frankie Valli (at certain performances)................................ MIGUEL JARQUIN-MORELAND Tommy DeVito........................................................................................ MATTHEW DAILEY Gyp DeCarlo (and others)......................................................................THOMAS FISCELLA Detective Two, Donnie, Billy Dixon (and others)........................................COREY GREENAN Nick Massi..................................................................................................... KEITH HINES Bob Gaudio............................................................................................... CORY JEACOMA French Rap Star, Detective One, Hal Miller, Barry Belson, Police Officer, Davis (and others)............................................................DAVID LaMARR Mary Delgado, Angel (and others).......................................................KRISTEN PAULICELLI Frankie’s Mother, Nick’s Date, Angel, Francine (and others)..................... LESLIE ROCHETTE Officer Petrillo, Hank Majewski, Crewe’s PA, Accountant, Joe Long (and others)....................................................................... ANDREW RUSSELL Nick DeVito, Stosh, Norman Waxman, Charlie Calello (and others).................. DRU SERKES Joey, Recording Studio Engineer (and others)..............................................JONNY WEXLER Church Lady, Angel, Lorraine, Miss Frankie Nolan, Bob’s Party Girl (and others)................................................................ JESSE WILDMAN UNDERSTUDIES Understudies never substitute for listed performers unless a specific announcement is made at the time of the performance. For Frankie Valli: BRYAN HINDLE, JONNY WEXLER; for Tommy DeVito: COREY GREENAN, DRU SERKES; for Bob Gaudio: AUSTIN OWEN, ANDREW RUSSELL; for Nick Massi: MARK EDWARDS, DRU SERKES; for Gyp DeCarlo: MARK EDWARDS, COREY GREENAN; for Bob Crewe: MARK EDWARDS, AUSTIN OWEN SWINGS MARK EDWARDS, BRYAN HINDLE, AUSTIN OWEN, JENNA NICOLE SCHOEN Dance Captain: BRYAN HINDLE; Assistant Dance Captain: MARK EDWARDS; Fight Captain: COREY GREENAN JERSEY BOYS ORCHESTRA Music Director: Taylor Peckham; Associate Conductor: Cameron Moncur; Keyboards: Patricia Diaz, Cameron Moncur, Taylor Peckham; Guitars: Jacob Chidester, Brian LaFontaine; Bass: Ryan Berg; Drums: Mark Papazian Music Coordinator: John Miller Jersey Boys will be performed with one intermission. Please turn off all electronic devices such as cellular phones, PDAs, beepers, and watch alarms. The use of any recording device, either audio or video, and the taking of photographs, with or without flash, is strictly prohibited. Courtesy of The Four Seasons. (l– r) Cory Jeacoma, Mark Ballas, Keith Hines, and Matthew Dailey in Jersey Boys. (l– r) Bob Gaudio, Frankie Valli, Nick Massi and Tommy DeVito. The Original Four Seasons. (Lancelot, Pittsburgh Public Theater), 1776 (Thomas Jefferson, Pittsburgh Public Theater), Urban Cowboy (Bud, WVPT), The Crucible (John Proctor), Picnic (Hal). Master’s degree in music, Oklahoma City University (voice: Florence Birdwell), The Studio/NY (Jayd McCarty’s acting conservatory). Eternal thanks be to God for his many gifts and blessings, as well as to my family, Arnold Mungioli, and the gang at BRS/Gage for their ongoing love and support. www.keith-hines.com CORY JEACOMA (Bob Gaudio). Cory is stoked to be making his national tour debut in a dream show of his! Regional: Legally Blonde (Warner, Fulton Theatre), Mamma Mia! (Sky, MSMT). In Lincoln Center’s Sinatra Centennial Concert, Cory was the alternate cast for 16-time Grammy Awardwinning artist Sting. Education: BFA in musical theatre from Pace University 2016. Thank you to Bob, RSO, JV, Amy, Jodi, J&P, Corbin, DBA, the creative team, and everyone else who has pushed him along the way. This one is for the fam, to whom all of my love goes. SO MUCH love. Twitter/Instagram: @cocojeacoco BARRY ANDERSON (Bob Crewe) is thrilled to be part of the Jersey Boys family. Broadway: Jersey Boys (Bob Crewe), Legally Blonde (Aaron Schultz). National tours: Legally Blonde, My Fair Lady. Regional: Where’s Charley? (Charley), Bye Bye Birdie (Albert), Honk! (The Cat). TV/film: 30 Rock, As the World Turns, FORWARD&GONE. www.barryandersonactor.com @4BarryAnderson THOMAS FISCELLA (Gyp DeCarlo and others). Regional: The Kite Runner, Fiddler on the Roof, Tranced, Frankie and Johnny in the Clair de Lune, Miss Evers’ Boys, The Bigger Man, Stalag 17, Black Friday. Tour: The Sound of Music. Television: 24. Principal roles for Georgia, Texas, and Colorado Shakespeare Festivals. William & Mary grad. Deep gratitude for friends and famiglie, and for JB angel John A., Tara Rubin Casting, Merri, The Dodgers, Richard, West, Des, and our entire team—salud. international tour); Hairspray (resident director/choreographer, Canadian Company). Charlottetown Festival Young Company (Artistic Director), The Stratford Festival (acting company, seven seasons—three Tyrone Guthrie Awards). STEPHEN GABIS (Dialect Coach). B’way: Doubt, Steel Magnolias, Dracula, Taboo, The Boy From Oz, Joe Egg, “Master Harold”…, Present Laughter, A Doll’s House. Venues: Roundabout, MTC, Playwrights, Atlantic, The New Group, MCC, the Public, Second Stage, Williamstown, Yale Rep, McCarter, Hartford Stage, Primary Stages, LCT, Long Wharf, Westport. Film contributions: Million Dollar Baby, Ballad of Bettie Page, Confessions of a Dangerous Mind, Boys Don’t Cry. THE DODGERS (Producer). Dodger Theatricals is a producing partnership hatched at BAM in 1978 by Michael David, Doug Johnson, Rocco Landesman, Des McAnuff, Edward Strong, and Sherman Warner. From the initial foothold in Brooklyn, the Dodgers grew, migrated to the NY Shakespeare Festival, then off and on Broadway, where their productions have garnered a host of national (Tony, Drama Critics Circle, Obie) and international (Olivier, Helpmann, Dora) awards. Current Broadway: A Bronx Tale, Groundhog Day. Broadway: Jersey Boys, Matilda, 42nd Street, Urinetown, The Farnsworth Invention, Dracula, Jesus Christ Superstar, Into the Woods (’87 and ’02), The Music Man, Titanic, Wrong Mountain, Footloose, Mandy Patinkin, High Society, 1776, ...Forum, The King and I, The Who’s Tommy, Ralph Fiennes’ Hamlet, Guys and Dolls, Once Upon a Mattress, How to Succeed..., Jelly’s Last Jam, The Secret Garden, Prelude to a Kiss, The Gospel at Colonus, Big River, Pump Boys and Dinettes. Also producers of Jersey Boys in London, and the national tour of Matilda. Offices in Times Square and London’s Covent Garden. Their president is Michael David. JOSEPH J. GRANO, JR. (Producer) is Chairman/CEO of Centurion Holdings LLC, an advisor to private and public companies. From 2001–2004, Mr. Grano was Chairman of UBS Financial Services Inc. (formerly PaineWebber). While at PaineWebber, Mr. Grano chaired the Board of Governors of the National Association of Security Dealers (NASD). In 2002, Mr. Grano was appointed by President George W. Bush to serve as the Chairman of the Homeland Security Advisory Council. He proudly served his country as a Captain in the U.S. Special Forces (Green Berets). Due to his commitment to education, Mr. Grano received the Corporate Leadership Award from the Thurgood Marshall Scholarship Fund. Other awards include the USO Gold Medal for Distinguished Service and The Ellis Island Medal of Honor. He is also a member of the Council for the United States and Italy, a member of both the City University of New York’s Business Leadership Council and the Board of Directors at Lenox Hill Hospital. KEVIN AND TAMARA KINSELLA (Producers). Kevin Kinsella has been investing in early-stage technology companies for 30 years, primarily through his firm Avalon Ventures. Avalon companies have been responsible for bringing to market several multi-billion dollar life-saving drugs, the iPhone touchscreen, and the fastest-growing revenue company in the history of the Internet (Zynga). Mr. Kinsella is a Life Sustaining Fellow at the Massachusetts Institute of Technology, a member of Johns Hopkins SAIS Dean’s Advisory Council, and a member of the Council on Foreign Relations. Both outdoor enthusiasts, Kevin and Tamara met in Alaska during the Exxon Valdez oil spill cleanup. The Kinsellas’ vineyard in Healdsburg, California, released the first Kinsella Estate Dry Creek Valley cabernet in 2011. Jersey Boys is their first Broadway show. Mr. Kinsella’s father, Walter A. Kinsella, was a career actor on Broadway, radio, television, and cinema. He first appeared on Broadway in 1924 in What Price Glory? THE PELICAN GROUP (Producer), a San Diego production company, is enthusiastic about supporting this production of Jersey Boys. The Group, assembled by Ivor and Colette Royston, consists of Todd and Debby Buchholz, Edward and Martha Dennis, Eric and Marsi Gardiner, Cam and Wanda Garner, Richard and Patricia Harmetz, Irwin and Joan Jacobs, Hal and Debby Jacobs, Paul and Stacy Jacobs, Jeff and Deni Jacobs, John and Angie Longenecker, Rao Makineni, Nevins and Margaret McBride, Ray Mirra, Shearn Platt, Edward Richard, Drew and Noni Senyei, Steven Strauss and Lise Wilson. Mr. Royston co-produced the TV film Dreams of Gold: The Mel Fisher Story (w/Cliff Robertson and Loretta Swit, 1986), and the feature film Soultaker (1990). LATITUDE LINK (Producer) was recently represented on Broadway by Jersey Boys (Tony Award), Memphis, and American Idiot. Additionally, six productions running worldwide: Jersey Boys national tour, Las Vegas, London, Toronto, Australia, and the Xanadu national tour. Past productions include: 33 Variations (Tony nomination), Cry Baby (Tony nomination), and The Farnsworth Invention. RICK STEINER (Producer). Of the 11 Broadway musicals Rick has co-produced, Jersey Boys, Hairspray, The Producers, and Big River won Tony Awards for Best Musical. In 1954, at age eight, Rick made his stage debut opposite Gene Lockhart in On Borrowed Time and then promptly retired. Rick has won six poker championships including the 1992 World Series of Poker 7-Stud Hi-Lo event. He resides in Cincinnati, Ohio with his children Ace and Duke and sits on the ownership bench of his beloved Cincinnati Reds. LAUREN MITCHELL (Associate Producer). As producer, on Broadway: Urinetown, Into the Woods (’02 revival), Wrong Mountain, High Society. Off-Broadway: Barbra’s Wedding, Bare. As actress, on Broadway: The Boys From Syracuse, Me and My Girl, Nine, Annie, City of Angels (L.A.), Into the Woods (original cast and PBS American Playhouse), and numerous OffBroadway, regional, television, and concert appearances. LA JOLLA PLAYHOUSE (Original Producer) has received more than 300 awards for theatre excellence, including the 1993 Tony Award as America’s Outstanding Regional Theatre. Located in La Jolla, CA, the Playhouse is internationally acclaimed for its innovative productions of classics, new plays, and musicals. Led by Artistic Director Christopher Ashley and Managing Director Michael S. Rosenberg, the Playhouse was founded in 1947 by Gregory Peck, Dorothy McGuire, and Mel Ferrer. Jersey Boys is among the more than 16 Playhouse productions that have moved to Broadway, garnering 29 Tony Awards, including Big River, The Who’s Tommy, How to Succeed in Business…, Thoroughly Modern Millie, Billy Crystal’s 700 Sundays, Memphis, and the Pulitzer Prize-winning I Am My Own Wife, fostered as part of the Playhouse’s Page To Stage new play development program. Visit www.lajollaplayhouse.org. JEFFREY UPAH (General Manager, Ahmanson Theatre) has worked in management at Center Theatre Group since 2006 on more than 50 musicals, plays, and special events including both pre-Broadway productions and Broadway tours. Some of his favorites include Follies, God of Carnage, and The Black Rider (having previously worked on Robert Wilson productions in Boston, Houston, and Sao Paulo, Brazil). Prior to Center Theatre Group, he worked in various capacities at the Santa Fe Opera, Yale Repertory Theater, American Repertory Theater, and Jacob’s Pillow Dance Festival, among others. GORDON DAVIDSON (Founding Artistic Director) led the Taper throughout its first 38 seasons, guiding over 300 productions to its stage and winning countless awards for himself and the theatre—including the Tony Award for theatrical excellence, Margo Jones Award, The Governor’s Award for the Arts, and a Guggenheim fellowship. The Kentucky Cycle and Angels in America (Part One) won the Pulitzer in consecutive years and, in 1994, three of the four plays nominated for the Tony Award for Best Play were from the Taper (Angels in America won). In 1989, Gordon took over the Ahmanson and, in 2004, he produced the inaugural season in the Kirk Douglas Theatre. STEPHEN D. ROUNTREE (Managing Director) joined Center Theatre Group in 2014 as Managing Director. He was previously the President and CEO of The Music Center (2002– 2014) and concurrently the CEO of the Los Angeles Opera (2008–2012). He served the J. Paul Getty Trust for 22 years, starting in 1980 as Deputy Director of the Getty Museum, then Director of the Getty Center Building Program, and in 1998, the Executive Vice President and Chief Operating Officer for the Getty Trust. He currently serves as a trustee of Occidental College, The Ahmanson Foundation, Children’s Hospital of Los Angeles, and Polytechnic School. 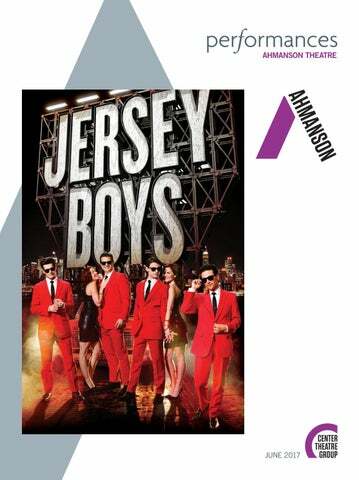 MAGGY & JACK SIMON are pleased to give their generous support to Jersey Boys at the Ahmanson Theatre. A self-made businesswoman and an accomplished singer and entertainer, Maggy is a lifelong theatre lover and is involved with Center Theatre Group as a donor and a valued member of Center Theatre Group Affiliates. Jack, an esteemed businessman with a background in acting and professional trombone-playing, has deep philanthropic roots in the Los Angeles community. When the pair wed in 2009, theatre became the most important cause they support together. In addition to providing production support through their Artistic Director’s Circle gift, Maggy and Jack both serve on the Board of Directors at Center Theatre Group. The Simons’ extraordinary generosity guarantees that Center Theatre Group will continue to present world-class productions at the Ahmanson Theatre. IN MEMORY It is difficult to imagine producing anything without the presence of beloved Dodger family members James Elliot Love and Jean-Michel Quincey. Friends to everyone they met, James and Jean-Michel stood at the heart of all that is good about the theatrical community. They will be missed, but their spirits abide. You Worry ’Bout Me)” (Denny Randell, Sandy Linzer) Screen Gems-EMI Music Inc, Seasons Four Music (BMI). “Everybody Knows My Name” (Bob Gaudio, Bob Crewe), EMI Longitude Music, Seasons Four Music (BMI). “Bye Bye Baby” (Bob Crewe, Bob Gaudio), EMI Longitude Music, Seasons Four Music (BMI). “C’mon Marianne” (L. Russell Brown, Ray Bloodworth), EMI Longitude Music and Seasons Four Music (BMI). “Can’t Take My Eyes Off You” (Bob Gaudio, Bob Crewe), EMI Longitude Music, Seasons Four Music (BMI). “Working My Way Back to You” (Denny Randell, Sandy Linzer), Screen Gems–EMI Music Inc, Seasons Four Music (BMI). “Fallen Angel” (Guy Fletcher, Doug Flett), Chrysalis Music (ASCAP). “Rag Doll” (Bob Crewe, Bob Gaudio), EMI Longitude Music (BMI), Gavadima Music (ASCAP). “Who Loves You?” (Bob Gaudio, Judy Parker), Jobete Music Company Inc, Seasons Music Company (ASCAP). The following employees are represented by the International Alliance of Theatrical Stage Employees, Moving Picture Machine Operators, Artists and Allied Crafts of the United States, its Territories and Canada, AFL-CIO, CLC: Stage Crew Local 33; Local Treasurers and Ticket Sellers Local 857; Wardrobe Crew Local 768; Make-up Artists and Hair Stylists Local 706. The musicians employed in this production are members of the American Federation of Musicians. UNITED SCENIC ARTISTS represents the designers and scenic painters for the American Theatre. The Director and Choreographer are members of the Stage Directors and Choreographers Society, an independent national labor union. The Press Agents, Company and House Managers employed in this production are represented by the Association of Theatrical Press Agents & Managers. This production is produced by a member of The Broadway League in collaboration with our professional unionrepresented employees. Center Theatre Group is a member of the American Arts Alliance, the Broadway League, Independent Presenters Network (IPN), LA Stage Alliance, League of Resident Theatres (LORT), National Alliance for Musical Theatre (NAMT) and the Theatre Communications Group (TCG). Latecomers will be seated at the discretion of management. Patrons with disabilities: wheelchair seating is available in a variety of theatre locations. When ordering tickets, please indicate any special needs. For our hearing-impaired guests, the theatre is equipped with listening devices; please contact an usher for assistance. GEFFENPLAYHOUSE.ORG/CONSTELLATIONS Geffen Playhouse is a not-for-profit organization dedicated to enriching the cultural life of Los Angeles through plays and educational programs that inform, entertain and inspire. Summer Camps Are Here! Selected as One of the Top Five Art Programs in the Nation. Why learn to draw and paint? For more information about leadership gifts, please call Erin Schlabach at 213.972.3069. Donors who have made additional gifts to Center Theatre Group’s Endowment or Planned Gifts programs. The best known and most prestigious peer learning program in metro Los Angeles. Curious minds learning from each other in a collegial setting. Foundation Support These institutions support Center Theatre Group’s operations, arts education programs, artistic development program, or specific projects. For more information, call our grants information line at 213.972.3022. THE AHMANSON FOUNDATION ANNENBERG FOUNDATION CENTER THEATRE GROUP AFFILIATES DORIS DUKE CHARITABLE FOUNDATION EDGERTON FOUNDATION ELISABETH KATTE HARRIS TRUST THE HEARST FOUNDATIONS THE JAMES IRVINE FOUNDATION THE ANDREW W. MELLON FOUNDATION THE RALPH M. PARSONS FOUNDATION LLOYD E. RIGLER-LAWRENCE E. DEUTSCH FOUNDATION LAURA & JAMES ROSENWALD & ORINOCO FOUNDATION THE SHUBERT FOUNDATION, INC.
USC Voice Center Your Destination for Expert Voice and Singing Care As part of the USC Tina and Rick Caruso Department of Otolaryngology-Head and Neck Surgery, you’ll have access to the latest vocal cord treatments and voice therapies. Our expert physicians and speech language pathologists collaborate to deliver personalized care so that you can regain optimal vocal health and performance. The Community Built for Life.® belmontvillage.com • Six Los Angeles area locations RCFE Lic 197608468, 197608466, 197608467, 198601646, 565801746, 197608291 © 2017 Belmont Village, L.P.
$1.4 million in literacy grants. More than 500,000 books. Empowering communities on The way up®. Visit cnb.com/Literacy to learn more. The Affiliates have supported Center Theatre Group since 1971. Through volunteering and fundraising, members introduce young people to the magic of live theatre. Center Theatre Group is grateful to these companies for their generous support. Center Theatre Group appreciates the support of the following agencies: The City of Culver City City of Los Angeles Department of Cultural Affairs Los Angeles County Arts Commission National Endowment for the Arts U.S. Department of Housing and Urban Development Center Theatre Group wishes to acknowledge the California Arts Council’s many years of generous support. Theatre Forward supporters are former supporters of National Corporate Theatre Fund and Impact Creativity. For info call 800.487.3378 Best-selling show in O.C. Ovation Circle Planned Gifts Center Theatre Group is grateful to these donors, whose irrevocable deferred estate gifts to our endowment ensure the organization’s financial well-being for generations to come. Steven Llanusa & Glenn Miya, M.D. Ann & Stephen F. Hinchliffe, Jr. But at the heart of Chisme y Queso—right alongside Center Theatre Group’s desire to engage with community, nurture young artists, and bring theatre into people’s everyday lives—is joy. “There’s just something about shared laughter,” said Cisneros. These gifts ensure a stable source of support for new work and Center Theatre Group’s many initiatives to make theatre accessible to underserved audiences. For more information on making a planned or endowment gift, call Becky Birdsong at 213.972.7532. Audience members enjoying chisme at Eastside Luv. photo by cristi burgos/cbgraphy. GROUPS OF 10+: (213) 972-8555 | MCGROUPSALES@MUSICCENTER.ORG Tiler Peck and Robert Fairchild. Photo courtesy of NYC Dance Project. In partnership with The Ford Theatres, as part of IGNITE @ the FORD, The Music Center On Location presents three special evenings at the beautifully renovated amphitheatre. I threw away the rulebook a long time ago. We each have our own unique story. And we’re ready to embrace new adventures. Wherever you’re coming from, whatever you’d like to explore next, there’s a Front Porch community to call home. A place where you can be exactly who you are. Performances Magazine, the theater program for Jersey Boys at the Ahmanson Theatre.